Water damage. Even the term is enough to send a shiver up any homeowner’s spine. Water damage is among the worst kind of property damage that can happen to your home. It’s expensive, hard to notice (until it really isn’t), and worst of all: comprehensive. Water doesn’t just damage parts of your home; it can hurt just about anything. It’s always better to prepare early than it is to react too late. Preparing for home water damage is no exception. Prepare for water damage now, and you could save yourself a major headache–and expense–in the future. Here are the four of the most common causes of residential water damage, and how you can prevent them. No roof should ever be truly “flat.” Generally, even “flat roofs” that look totally horizontal have a slight convex angle. Roofing need to be angled in order to drain water effectively. If a roof really was flat, water would puddle on top of it and cause all kinds of problems. Unfortunately, however, damage or strain can flatten roofs over time. When leaves, branches, and debris pile up on roofs, they put enough strain on the structure to collapse it. When water piles up on flat roofs, it can inflict severe damage on both the roof and the home itself. As the roof continues to collapse under the weight of the water, cracks can begin to form. The water can seep through those cracks and start damaging the underlying structure of the home. Prevent roof damage by making sure debris doesn’t pile up on your roof. Look for ceiling leaks frequently, especially in corners. Consider calling a professional to inspect and repair your roof if you’re worried about water damage. All pipe leaks lead to water damage, for obvious reasons. The most damaging pipe leaks are the ones that go unnoticed the longest. The longer a pipe leaks, the most water it spills into areas where water isn’t meant to be. 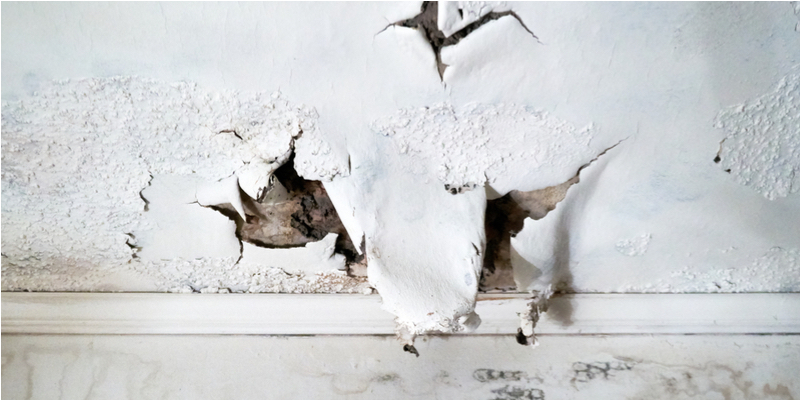 When water leaks, it can wear away at surroundings, foster mold growth, and ruin sensitive materials. Unfortunately, leaks that are difficult to see can also inflict some of the most significant damage. Generally, homeowners may not notice leaks because the pipes leaking are “invisible” pipes located behind walls. Displaced water from these invisible leaks wears away at insulation, drywall, scaffolding, and other supporting materials. If they’re left alone long enough, they can inflict serious structural damage on a home. Learn how to find hidden pipe leaks early. Keep a close eye on your water bill especially. If you notice any unexplained fluctuations in cost, a leak could be the culprit. Always fix leaks as quickly as possible to minimize damage. If an area of your home gets too humid, condensation could form on various surfaces. Air conditioning units are particularly vulnerable to condensation accumulation. All this condensation eventually slides from the fixture it formed on and collects in puddles. To make matters worse, you probably don’t spend much time in the humid areas of your home. When puddles build up in attics and crawl spaces, they cause all kinds of trouble. AC units tend to produce quite a bit of condensation naturally. They create cool air by pulling in warm air from outside and running over evaporator coils. This process also pulls moisture from the air, which condenses into condensation. Usually, this condensation accumulates on a condensate (or drain) pan inside the unit. If the pan is damaged, however, then the condensation can’t build on it. Instead, it accrues in and around the unit. Make sure your AC unit properly disposes of condensation to protect yourself from a very common form of water damage. Any water-using fixture can begin leaking. The type of water damage a leaking fixture can do depends on where it is and how bad the leak is. Toilets, p-traps, and dishwashers are particularly prone to leaking. Toilets leak when the sealing wears out. If the flapper inside the tank gets damaged, tank water might also leak into the bowl. P-traps often partially detach from connective pipes or crack under pressure. Dishwashers will start leaking if nearly any of their parts are damaged. Fixture leaks inflict a wide variety of water damage. 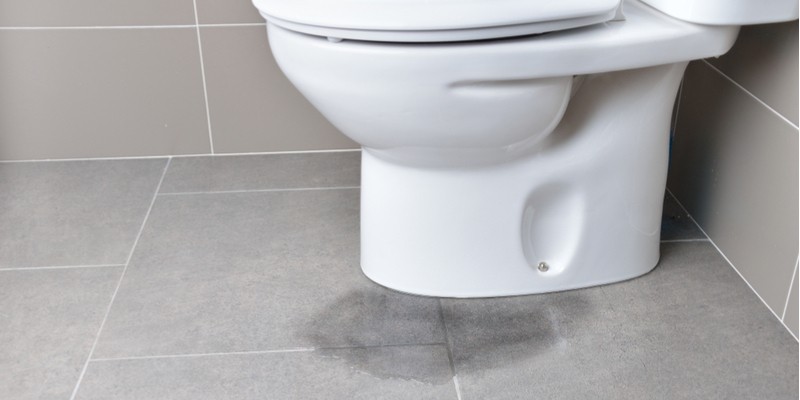 Toilet leaks can wear away at the integrity of the floor beneath the toilet. Over time, the toilet could even collapse through the floor! P-trap leaks could hurt the cabinets surrounding them, doing permanent or expensive furniture or wood damage. Leaking dishwashers hurt counters, flooring, wood–you name it. The best way to prevent that kind of damage is to make sure your fixtures don’t start leaking in the first place. If they do, fix them fast! The most important way to prevent water damage is to fix the problems that lead to it fast. 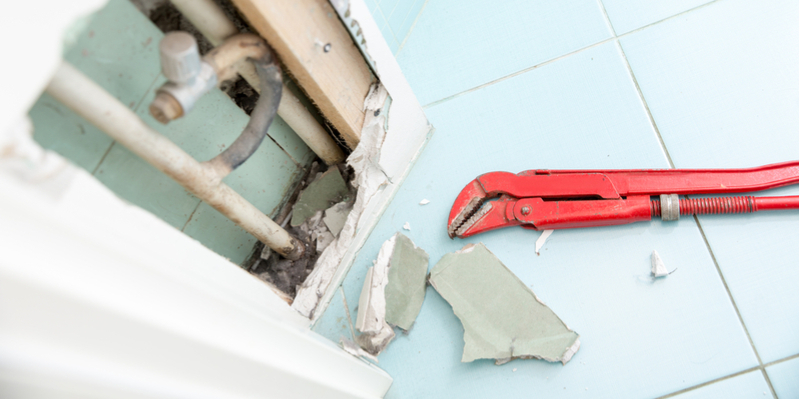 If you’re dealing with a plumbing leak, let us know right away. Mike Diamond find it and fixes leaks fast and reliably. Our experts can even find other sources of possible water damage while we’re at it. Next time you’re worried about water damage, don’t be! Just call Mike Diamond right away.